A great addition to your garden. 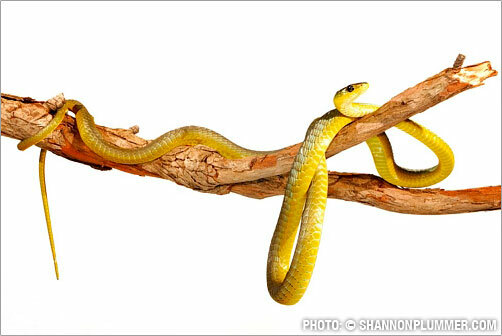 The Green Tree Snake is often easily recongnisable with a green or green with blue flecks across the top of it's body. It generally has a bright yellow chin and under side at the head end. Their diet consists of mainly small lizards and frogs. They spend their days in bushes, trees, gutters and in ceilings. Actually any comfy place off the ground offers an ideal habitat for the Green Tree Snake. The Green Tree Snake often moves fast when startled. When confronted they try to climb away which is often mistaken for agression. They are not considered an agressive snake and very rarely show agressive behavior. If these rare instances they may puff up their throat to appear larger. If you discover a Green Tree Snake in your yard feel free to take a photo and send it to one of our catchers for identification. If it is a Green Tree Snake we recommend leaving them along as they pose no risk. 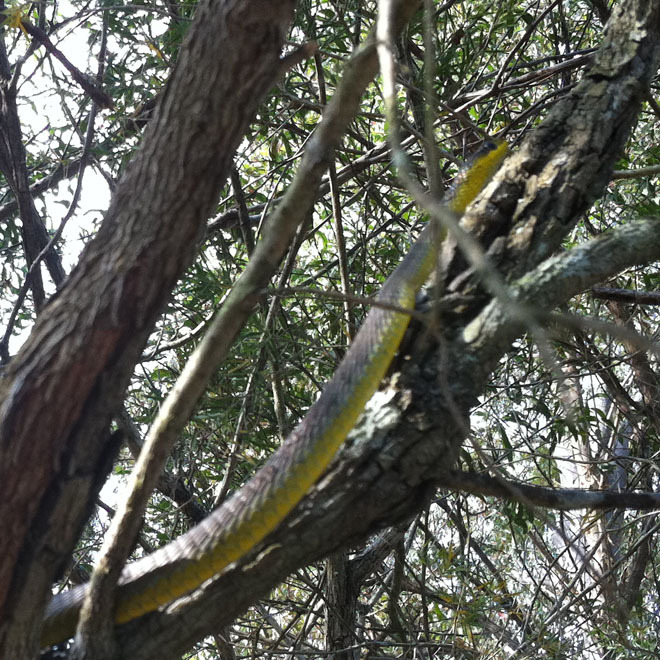 Below is a Green Tree Snake climbing to the safety of a tree in a suburb on Brisbane's north side. Below is a Green Tree Snake being released into bushland near Brisbane. 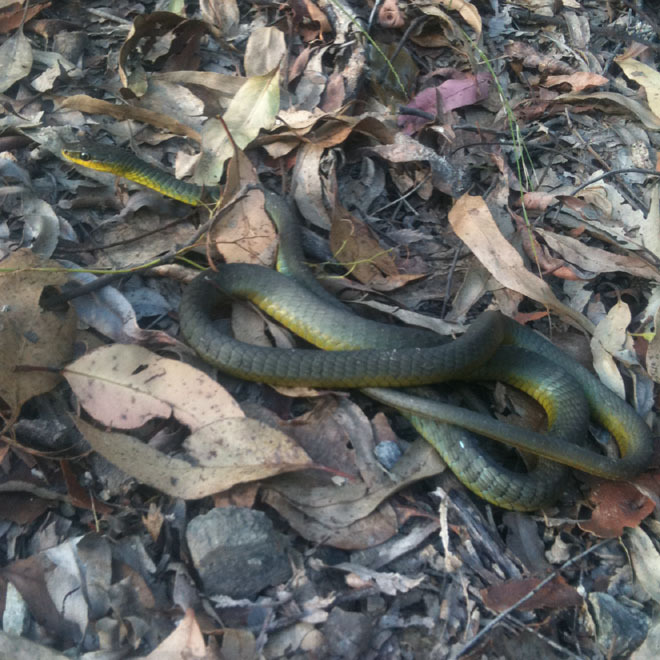 The Tree Snake is one of the most common snakes in the Brisbane area.